Kanga Motorsports is excited to announce our 2019 partnership with Eyes Up Auto Art. 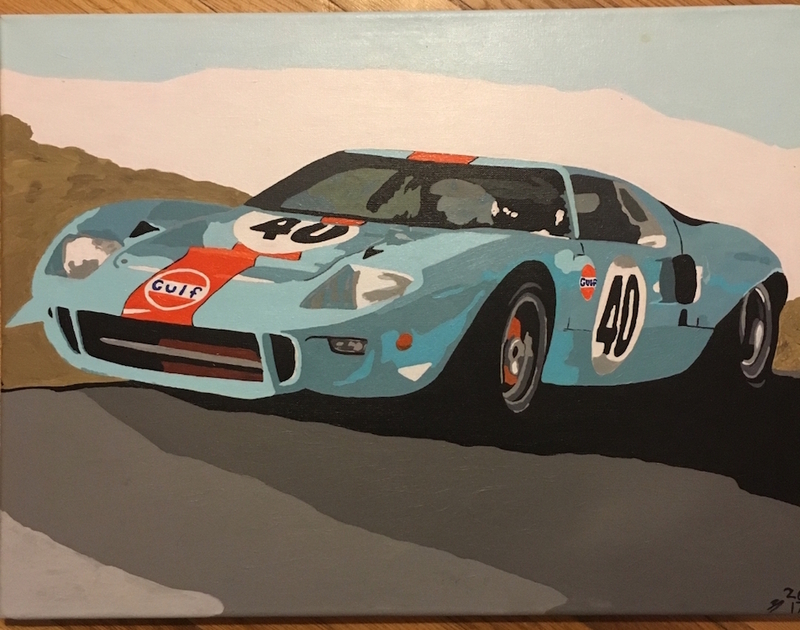 Zachary Carroll of Eyes Up Auto Art produces affordable graphic realism paintings for car enthusiasts, racecar drivers and motorsports teams. James of Kanga Motorsports previously commissioned a piece from Eyes Up Auto Art of the Spec Racer Ford racecar. It turned out fantastic with an amazing level of detail. The artwork is now proudly on display next to the racing simulator. 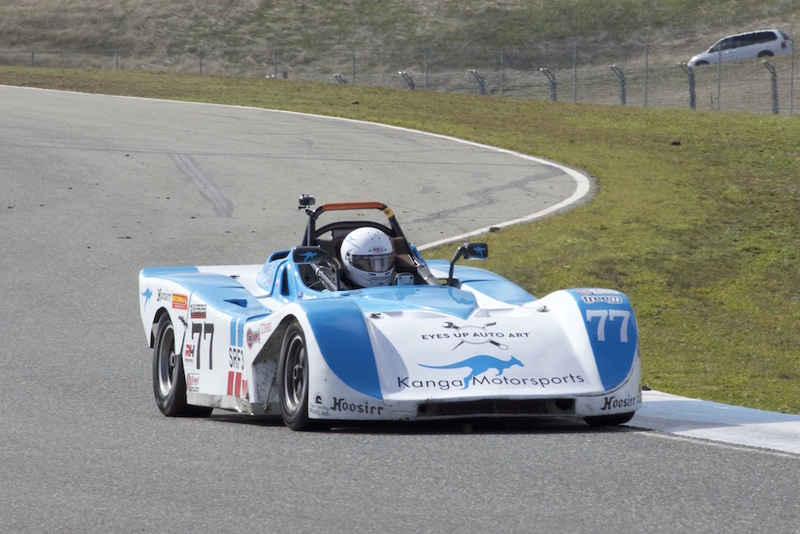 As we campaign the #82 Spec Racer Ford Gen3 in the SCCA San Francisco Region Championship, Kanga Motorsports is thrilled to have Eyes Up Auto Art as part of the team for 2019. Eyes Up Auto Art wants to help memorialize peoples cars they no longer have, celebrate ones they do or make a dream more tangible. Zac doesn’t shoot for photorealism, he tends to exaggerate the contrast in colors making the piece pop. 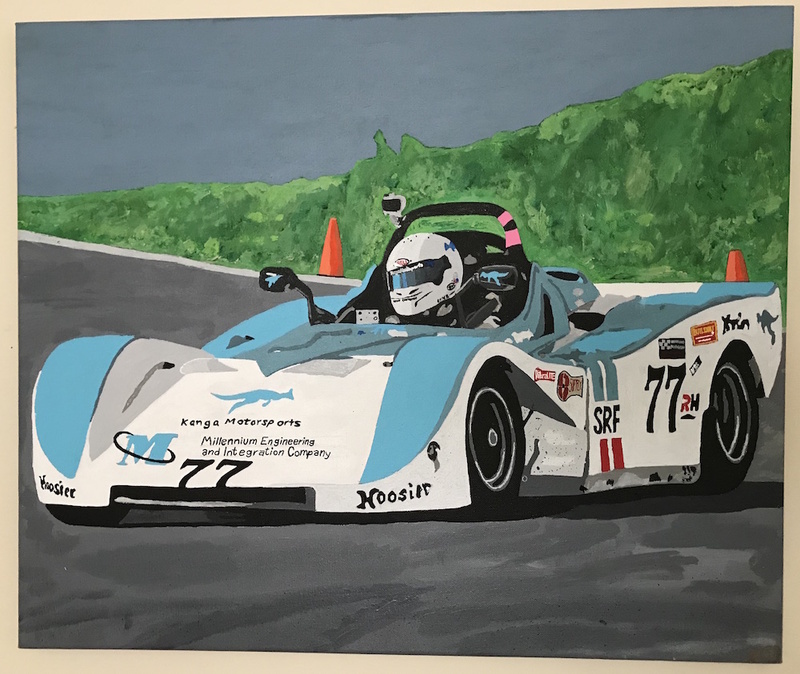 To get your own piece of fantastic artwork contact, Zachary Carroll of Eyes Up Auto Art as they are currently taking commissions for the 2019 Season.